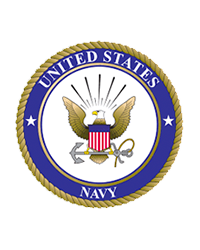 Machinist Mate 1st Class USN (Ret) Bobby J. Denham age 81 of Leesburg, GA went to be with his Lord and Savior on Wednesday, November 7, 2018. He passed away peacefully at home surrounded by his family. The family will receive friends at 2882 Palmyra Road, Leesburg, GA 31763 on Saturday, November 17, 2018 from 4:00 pm until 6:00 pm. Bobby was born February 28, 1937 in Remerton, GA, the son of Emmett William and Carrie Lee (West) Denham. He grew up in Lee County on the family farm. He married his wife Carol Hower in 1958, and spent 3 years in the army as a track vehicle mechanic, followed by a 20 year navy career, working on submarines and submarine tenders including USS Proteus, USS Simon Lake and USS Canopus, of which he was plank owner on all three. After retiring in 1974, he worked various jobs as a school bus driver, mechanic and truck driver. He enjoyed spending time outdoors and part of his retirement was spent doing pulpwood and firewood. 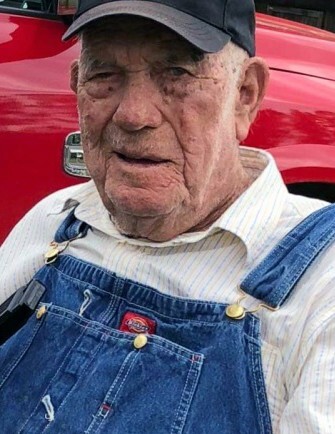 Bobby was preceded in death by his parents, Emmett William Denham and Carrie Lee West Denham; brothers Leroy Denham, Allen Denham, Charlie Nix Denham, Arlie Donald Denham, Everett Eddie Denham, Emmett James Denham, Joseph Denham, Amos Denham and Bradford Denham; sisters Lillie Mae Denham Newsome, Mary Sue Denham Swain and Bernice Denham Cowart Ross. Bobby is survived by his wife of 60 years, Carol Hower Denham; children Barbara Lott (Marvin), Scott Denham (Jenny), April Denham and Nancy Shipley; numerous grandchildren and great grandchildren; sisters Patricia Denham Sweat and Janice Denham Mullis (Billy); sisters-in-law Shirley J. Denham, Karen Denham, and Thelma Denham; and many nieces and nephews. Fair winds and following seas. Anchors away. "The Anchor Holds"
In lieu of flowers those desiring may make memorials to woundedwarriorproject.org/Donate‎ or by mail to 4899 Belfort Road, Suite 300. Jacksonville, FL 32256.